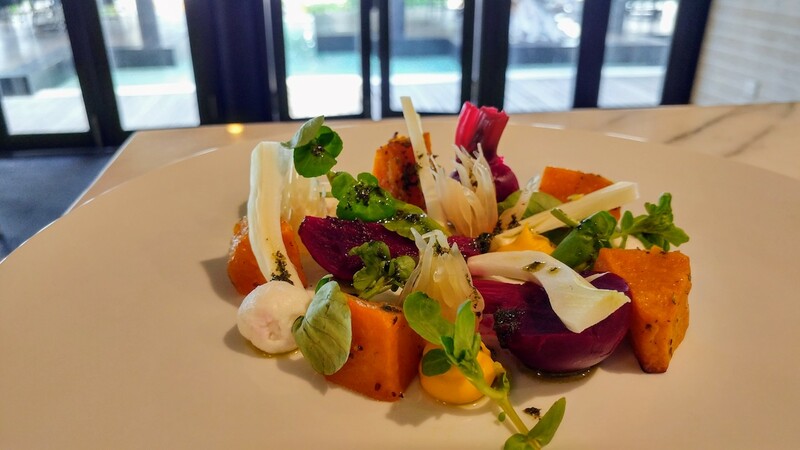 The Outrigger Konotta Maldives Resort has unveiled three scintillating new Asian dining initiatives full of flavour, variety and fun. The sizzling new sensations include an Asian Street Food Market, the Konotta Hot Pot Experience, and the Indian Ocean Thali Taster Meal. Outrigger’s Asian Street Food Market has a mostly outdoor set up with Chinese lanterns and live music. The best of Asian street food is present, including Japanese favourites such as Sushi, Nigiri Sushi, Makimono and Maguro Tataki (seared Maldivian tuna with ponzu sauce). There is Teppanyaki (including tenderloin beef) Laksa spicy noodle soup and Pho noodles. And look out for other classics from around Asia such as Stir Fried Chicken with Cashew Nuts (Thailand), Spring Rolls (Vietnam), Nasi Goreng Kambing from Malaysia, and tasty Batagor from Indonesia. The Asian Street Food Market will take place every week from August and throughout the high season. See full menu here. The Konotta Hot Pot Experience takes inspiration from over 1000 years of culinary history and was probably created by the Mongolians. Embraced across Asia and known variously as Huoguo, Shabu-Shabu or Steamboat, the concept is basically a communal hot plate for cooking the meat surrounded by a pot of simmering soup. “At Konotta, we have taken the best of hot pot culture and designed a hot pot that, we think, suits the palettes of all our guests,” says chef Long. The Hot Pot Experience is available each day (with 24 hours notice for preparation) and served in the Rotunda. The Indian Ocean Thali Taster Meal is based on the concept of presenting the six flavours of sweet, salty, bitter, sour, astringent and spicy in a single Thali (tray) of Indian dishes. The flavours come from all corners of the Indian sub-continent and are available each evening in the Blue Salt restaurant. 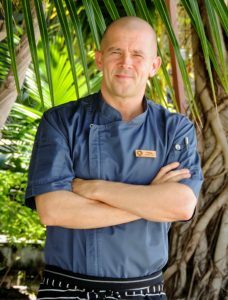 The three culinary innovations at the Outrigger are augmented by a new lunch and dinner menu with the emphasis on organic ingredients and health, a Teppanyaki Dinner Experience prepared by Teppan Chef Endar, and a variety of unique island dining options such as romantic beach tables, sand bank lunches, wedding and vow renewal celebrations. 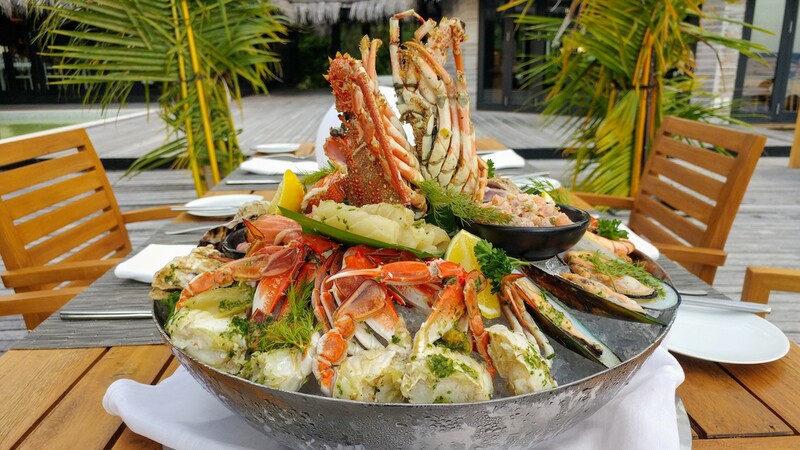 The chef is particularly proud of the weekly Maldivian Lobster and Angus Beef Sunset Beach BBQ, which is ideal for couples that want a private dining table set up on the beach. 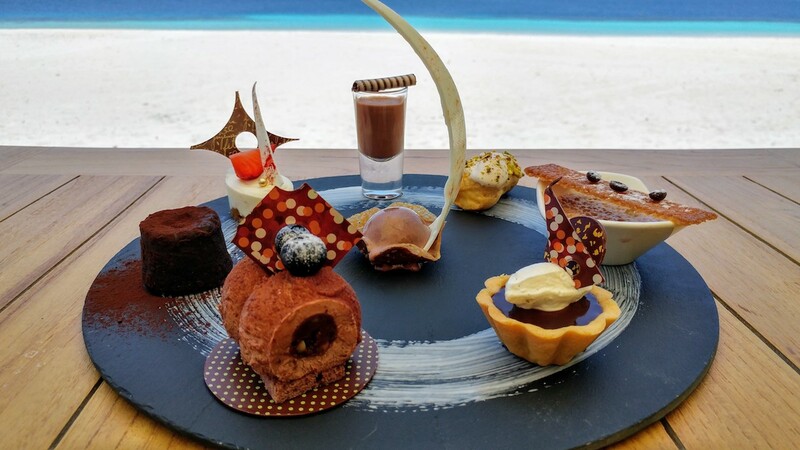 Further information on dining at the Outrigger Konotta Maldives Resort is available here.